Being prepared for aviation job interviews is important because the first impression you make is sometimes the only impression you have. Companies will test you, challenge you and compare you to other applicants in an effort to get the best hire. If you get your foot in the door for an interview, make it work!Additional resources are available in the Avjobs Applicant System. Spend ample time and build a professional aviation standards resume that gets interviews using the Avjobs Resume Builder. It is important to put in a lot of thought and effort to highlight your credentials and showcase what makes you stand out from other candidates. Make sure your resume reveals your accomplishments and how you have impacted the bottom line with previous employers using figures, statistics, dollars and percentages mixed with narrative to ad credibility. Study and memorize your resume before you walk into the interview so you are prepared. Nothing could look worse than not being able to answer a question related to something off of your own resume! Bring several copies of your resume to the interview as you may need to leave a copy and/or you may be asked to fill out an application while you are there. Having a copy of your resume will make filling out the application easier and that way, you will remain consistent. Research the job, interviewer and organization, agency, or company with whom you are having the interview. You can request printed materials such as annual reports from the employer in advance and research online. 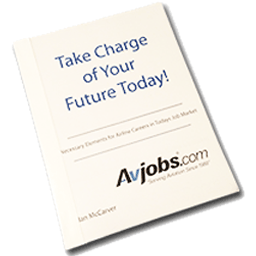 Avjobs provides a helpful Aviation Employer Directory with access to thousands of companies. Knowing about the job and company will help you prepare a list of your qualifications that you can show, point by point, why you are the best candidate. It will also help you prepare an interview strategy and points to emphasize and appropriate questions to ask. Asking pertinent and smart questions to the interviewer will also show you are motivated and very interested in the company and the work they do and, that you have done some homework. As you apply for jobs, always take advantage of any opportunities you are mildly interested in and focus on getting the interview. Try and schedule at least 10 interviews for challenging and professional positions and if you are invited in for an interview, be sure and take advantage of the opportunity even if you don't want to. You may not think the job is right for you but you won't know if you don't visit the company and go through the interview process. You might find a hidden gem and be given an amazing offer you can't refuse. Any interview can be great practice for landing your dream job. It will give you the experience of unique interview settings, interview questions and interviewer personalities and, the opportunity to hone in on what hiring managers are looking for as you build your self-confidence and interview skills. This self-induced confidence allows you to be yourself, and shows a potential employer what type of an employee you will be for their company. Create and practice your 30 second, unique positioning statement that shows your value and makes you stand out from your competition. Include your career objective, 3-4 accomplishments and a few character traits or skills that set you apart from other candidates. First impressions are always influenced by appearance. Don't disregard it. Be sure to dress for success when heading to interview because how you present yourself during an interview can have just as much impact on your success as the achievements on your resume. Spend time doing your homework and getting an idea of the environment you'll be walking into. Take time to plan your clothing, hair, and makeup and jewelry so it's appropriate for the job you're interviewing for. It's always better to be a bit overdressed than underdressed. Dress as closely as possible to the uniform required for the position you are interviewing for. This allows the interviewer to see how you would look as an employee before they hire you and gives you the opportunity to project an air of confidence, enthusiasm and positivity. If you are going to an interview in a business office, wear a suit. When stepping into interviews, be mindful of eye contact, body language and posture. While in the waiting room, stay off your device's and instead pick up any literature they might have laying around, strike up a conversation with the receptionist about the company or review your resume. Be sure to greet your interviewer with a big smile and a firm handshake. Don't present a fake or false image; simply be yourself, as you will have to continue to act this way once you are hired. Speak confidently using proper English and a well-modulated voice. Always use positive statements and never offer negative comments about past employers or experiences. If a negative question is asked, try your best to turn your negative answer into a positive statement. Not getting interviews or callbacks? There may be a number of reasons why you are not getting an interview or a callback after a first interview but don't give up. There are a few things you can do to get your resume in front of hiring managers or just get them to give you a second look. Do some additional research and find a reason to send something to spark interest. Maybe they have accomplished something cool or noteworthy in the past six months so you send them a letter congratulating them. Or better yet, share a common and/or compelling vision for the future of the company. By doing this, you will show leadership skills and behaviors that other candidates have not demonstrated and it's a sure way to get your name in front of them and hope it sticks. Review and edit your resume and application materials for the next round. Be sure to follow the instructions and supply all information requested in each job posting or application instructions. Avjobs offers an exclusive, online aviation Interactive Practice Interview including hundreds of sample questions in audio format. It's designed as a preparatory tool to push you to be your best. The interview can make or break your chances regardless of experience and training so being prepared is essential. Although you don't want your answers to sound rehearsed, you do want to do a little self-study and get yourself comfortable with the process of talking about yourself. Using the Avjobs practice interview, you will strengthen your interview skills, build confidence, learn how to anticipate trick questions, role-play answers and practice salary negotiations that will help you convey why you should be the candidate of choice.